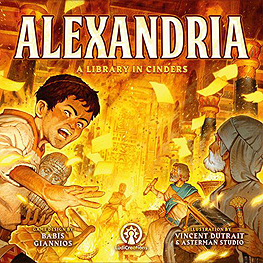 Who is responsible for the burning of the ancient library of Alexandria? Will you rescue ancient tomes of wisdom? Will you save Philosophers, Historians, and Mathematicians from certain death? Will you use your knowledge of the library to save it? Or will you let the ancient wisdom burn to serve the Emperor?